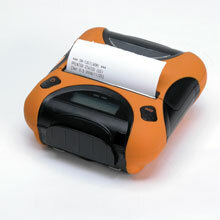 Star SM-T300 - 3" Rugged Portable Printer, Bluetooth and Serial, MSR, LCD Display. Includes belt clip, serial cable, battery pack, AC charger, and sample paper roll. The Star 39631011 is also known as Star Micronics	STA-39631011	.